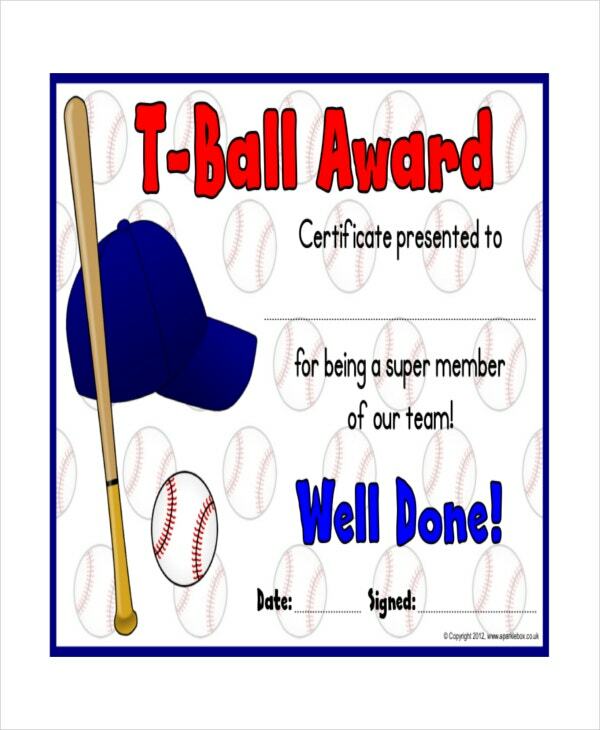 Children that are fans of playing a tee ball or t-ball in other terms can get their proof of attendance with t ball certificate template. This game is for children so they can learn the basic rules in playing softball or baseball where there is no pitcher but to hit a ball in a stationary tee. Thru Sports Certificate in Microsoft word, excel and pdf file, they can readily print the document for the children to have. You can also see Certificate Templates. The sports organizer or coach then will have no problem for giving each member of his or her team the proof that they have played well in a T ball game. They can make it more athletic in appearance by adding images and recognition in the skills of the players in its content. 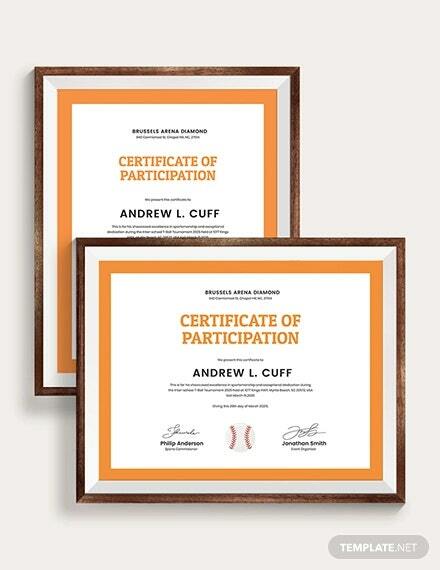 These templates are used when children successfully complete their training of baseball or softball. The certificate is duly signed by the coach or any senior administrator of the facility which means that they authenticate your successful training sessions. Furthermore, you can add your personal records, attempts, and experience to personalize it and to make it stand amongst the crowd. You can use the certificate for any training purposes as this template can be easily customized and hence, it eradicates the limits of its usage. To download T-ball Certificate Template, consider only the Adobe PDF version as it lets you download the template in high-quality. 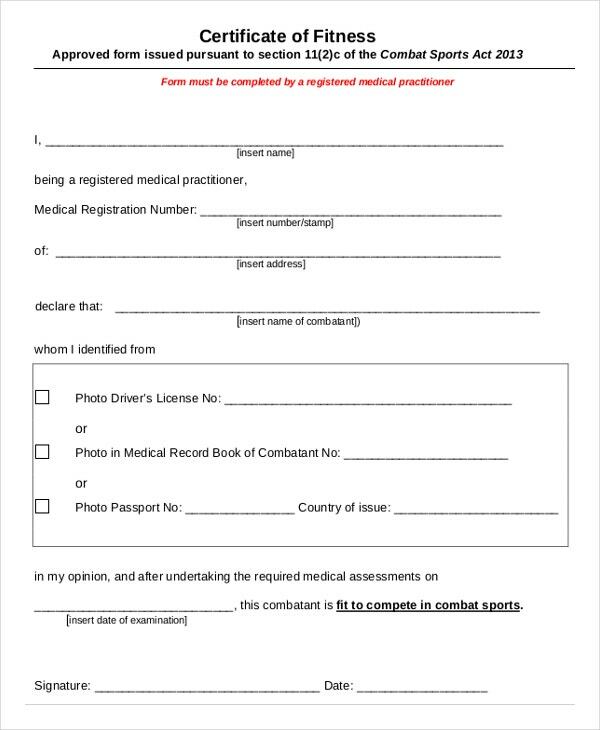 You can then edit and print it as your requirement. 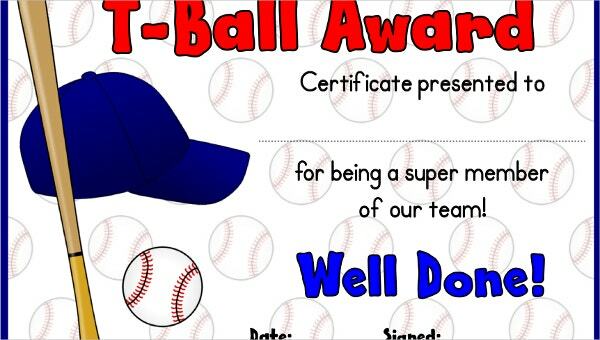 The usage of T-ball certificate template is extremely easy. You just have to download it from any website in PDF format. Once downloaded, you can personalize it with the addition of the context and images and other supporting content of your past experiences. Then you can edit the font size, type to make it suitable as per your choice. Once done, you can further personalize the page border which you can choose or edit from the available page borders. Then lastly, you can customize the background color to make it feel sophisticated. You can have the certificate duly signed to prove its authentication.